The speculation on the removal of the Developer Interest-Bearing Scheme (DIBS) could accelerate property transactions in the near-term, temporarily driving the demand for mortgage loans. 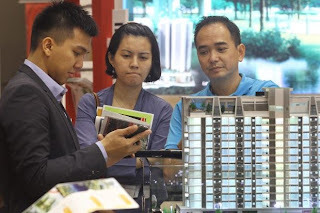 “People may be quick to take advantage while the scheme is still in force and buy properties, which may then cause a spike of sorts in loan demand in the period just before the scheme is removed,” Alliance Research banking analyst Cheah King Yoong said. Any removal of the DIBS by Bank Negara is expected to only impact the industry loan growth beginning next year rather than this year, Cheah added in a note to clients. It is unclear when the removal of the scheme will take place but industry observers are expecting it to be very soon. As for property firms, Cheah said he expected them to “adapt” to the curb on DIBS by offering “other incentives” to ensure that demand for property does not drop. These could come in the form of rebates to property buyers, said another analyst who concurred with Cheah’s views. The DIBS in recent times has become an easy financing package offered by property developers in joint-promotion activities with banks. Under the scheme, buyers need not fork out much initial payments to buy properties, as the developer supposedly absorbs the initial interest. The buyer only starts paying the instalments after his property is ready. A high number of buyers buy into this scheme with the intention of flipping the property when they gain possession of it, making a profit without having to fork out much of their own money for it. In the case of a removal of the DIBS, consumers would then have to absorb the initial costs, including interest payments, even before their properties are ready. DIBS is mainly offered to buyers of the high-rise residential segment, where property flipping is reportedly the most rampant. Assuming the DIBS is curbed, Maybank Investment Bank Research estimates that the worst-case scenario would be a marginal 0.7-percentage point shave off its 2014 industry loan growth forecast of 10.5% to 9.8%. It is maintaining its industry loan and earnings forecasts for the individual banks for now. In his report, Cheah raised his 2013 industry loan growth target to 10.5% from 7% to 9% premised on the expectations that loan growth momentum would pick up in the second half, mainly driven by the accelerated disbursements of Economic Transformation Programme-related loans, even as general election-related risks dissipate.